Why couldn't the computer take its Hat off? Because it had its CAPS LOCK on. 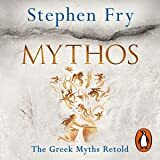 Here is a list of over 1000 “cheesy”, nerdy, and fantastic dad jokes and a brain puzzle like no other. Everyone loves cheesy, smartly timed dad jokes because they are told by your dad, and you only get one dad right? Dad jokes could make you wince, they make you moan, but the one thing they have in common is they come from dad. You can help your dad improve his assemblage of jokes that make will you wince and giggle at the same time. 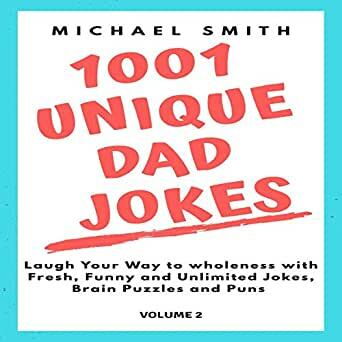 1001 Unique Dads Jokes could make a great gift for your dad who has everything and has heard everything. Or maybe you want to buy it for yourself and be equipped the next time dad wants to have a joke off. So if you want to laugh your way to wholeness with fresh, funny and unlimited jokes, brain puzzles, and puns, click "add to cart"!